Celeste and Steve celebrated their love for one another with family and friends with a beautiful ceremony held at the gorgeous Mary’s Catholic Church, Ascot Vale, Following the ceremony with a reception at stunning Manor On High in Epping. Celeste was radiant with her gorgeous, white, lacy gown flowing behind her. With elegant hair and a stunning makeup look. Alongside Celeste was her sharp husband, Steve. Looking like a celebrity couple, the two of them were perfectly at home with their wedding cars from JC Jags. Celeste and Steve enjoyed their day in style, with the finishing touches provided by JC Jags for their Manor On High Reception Wedding Car Hire. 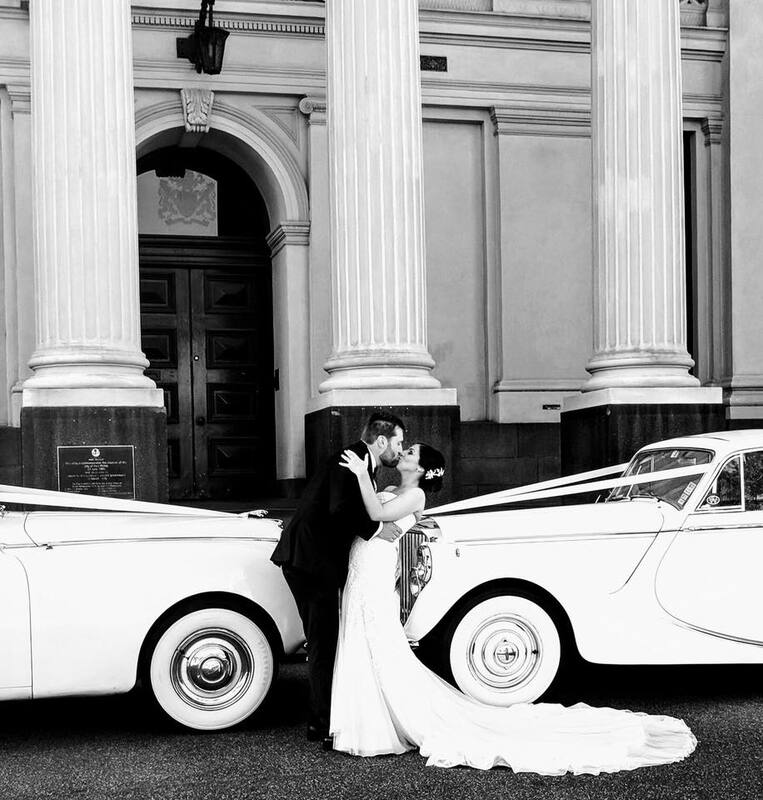 Their timeless cars adding elegance and glamour to every wedding. However, the wedding could never be complete without Steve and Celeste’s love for each other. Classic cars will add an element of timelessness and whimsy to your wedding, creating a glamorous, classy aesthetic fit for royalty. Whether you’re having a chic city wedding, large family ceremony or scenic countryside wedding, JC Jags can provide wedding hire cars to suit you and the needs of your wedding. JC Jags can can cover your wedding at Manor On High Reception Wedding Car Hire and elsewhere in Melbourne.